Today was our last full day in Haiti…and we were looking for opportunities to serve, so we got lucky enough to sneak one more orphanage visit into our day!! First…we had church. We walked back to the same church we were at the other day…Church on the Rock and enjoyed an inspiring service. Today’s service included an American pastor who spoke some of the message in English, so that was fun to be a part of it. 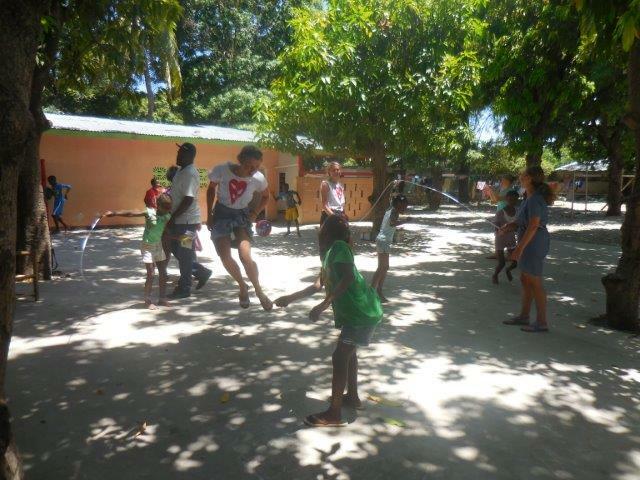 From church, we loaded up in the TapTap and went to a new affiliated orphanage with Healing Haiti. The Cardinal Stepinac Children’s Center [by Croatian Relief Services] includes about 60 kids. The property was very nice…they had the first patch of green grass that we have seen in all of Haiti. 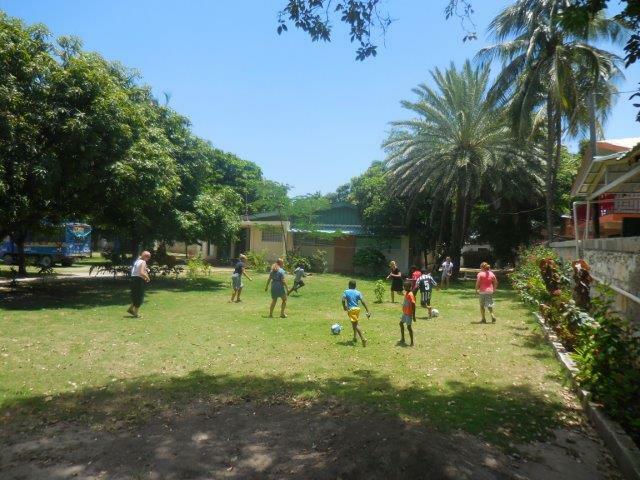 Of course…we played soccer! We joked it was skirts v. skins because we were all still in our church clothes. The kids had a blast. The property had quite a few mango trees, bunnies, kittens, and a great water filtration system. The kid’s age ranges appeared 5 to 17. They were all very well-mannered and loved the time we spent with them. Tonight, we are wrapping up with group time and worship with the other teams on the compound. This trip is coming to an end sadly…the week has flown by! We are staying in the moment and will continue to learn and listen to what God has as he continues to influence us all here in Haiti. 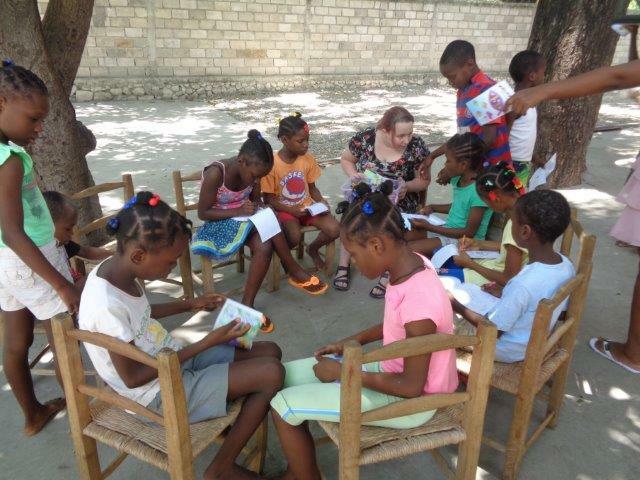 Looking at a brochure we got from the orphanage today – it reads: Mathew 24:40 “Truly I tell you, whatever you did for the least of these brothers and sisters of mine, you did for me.” For us this is a simple summary of the work we have done all week. 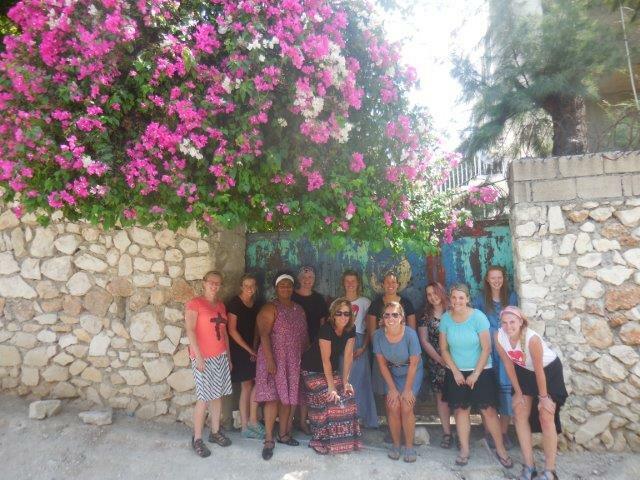 AND in conclusion…we owe many thanks to the Healing Haiti staff and all the Haitians that have been extremely hospitable to us during our stay. To our team members specifically – we have learned a bit about each other and now will have a memory to cherish for a lifetime. To our leaders – the little things did not go unnoticed from packing us up for the day to uploading all of our photos…you truly lead by example! To the HH staff, your work ethic and kindness exceeded expectations! Merci, Merci!